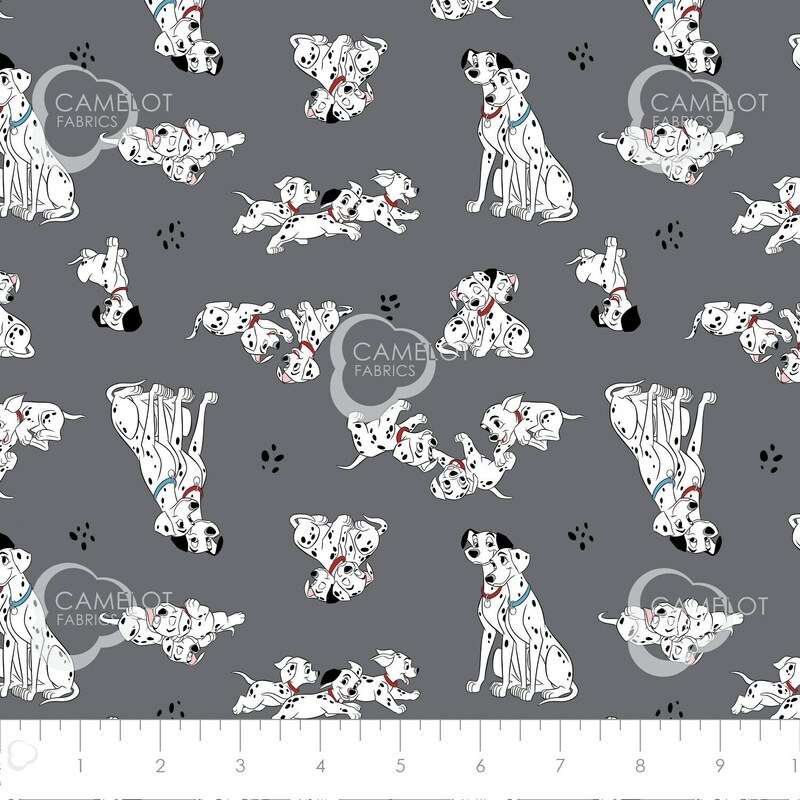 101 Dalmations - apprx 36"x44" From Disney by Camelot Fabric. How cute are these Dalmatians! All the puppies and spots!! The fabric measures appx 36"x44". If you purchase more than one Yard will be shipped in one continuous piece of fabric.